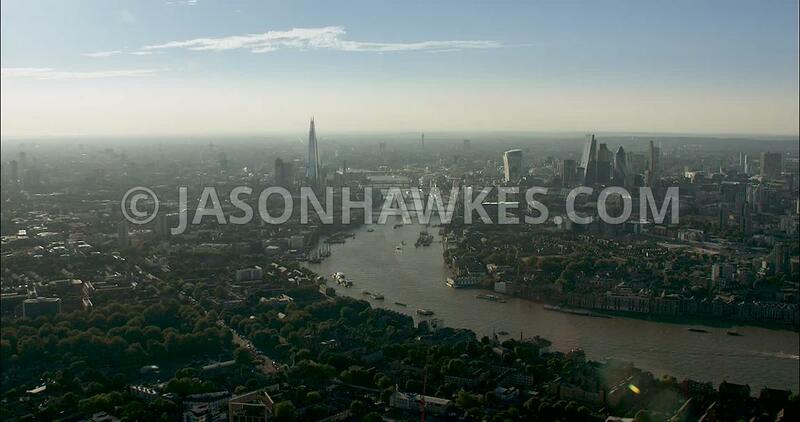 Aerial Footage London Aerial Footage of River Thames at Bermondsey towards city skyline. London Aerial Footage of River Thames at Bermondsey towards city skyline. London Aerial Film of East London with Shadwell and Wapping.